Do you live in a good “room to roam” community? Do you wish you did? What do we need in our neighborhoods, our towns, and our cities so that children are able to roam freely and safely? After talking to people in what you could call the “room to roam” field — folks working on public policy, issue advocacy, and on the ground in cities and states — I think we did a pretty good job with our list. Their lists are pretty similar — it’s the fight to put them where America’s children live, go to school, and play that’s difficult. You probably know if you live in a “room to roam” community. And if I drove through your town, I would probably be able to tell, too. 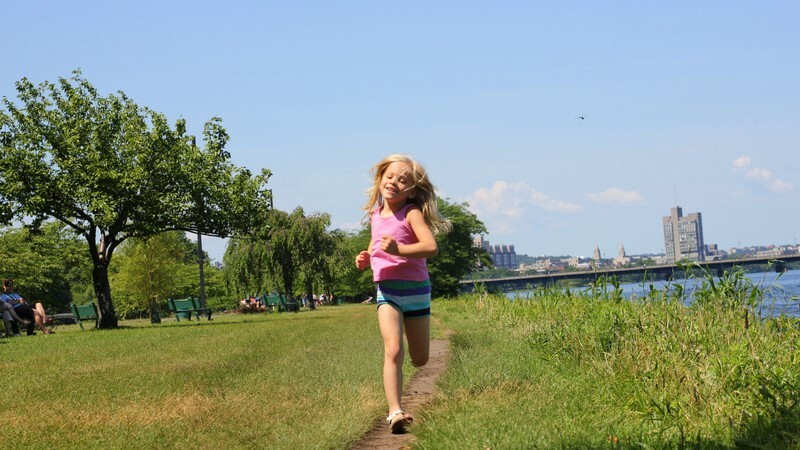 As Lenore Skenazy told me in the conversation that started this series, “You can tell the health of a community by how many children are outside.” But in too many of the places we live — my rural town, Eric Stone’s suburban town, big cities and exurban communities — not enough children are able to play safely outside, walk or bike to and from school safely, or roam freely. Each of the organizations below is working to change that situation. If you’re interested in learning what you can do to make your town a “room to roam” community, you’ll find plenty of places to get involved. At the end of this post, you’ll also find a brief summary of the current transportation budget battle and the risk to these programs, along with calls to action by AMC and other concerned groups. Active Living By Design (ALBD) was established by the Robert Wood Johnson Foundation in 2001. The organization works with local and national groups to build a culture of active living and healthy eating through community-led change. One ALBD project, Healthy Kids, Healthy Communities, is helping 50 communities around the country reshape their environments in support of healthy living. Safe Routes to School has a simple mission: to help communities develop safe walking and bicycling to and from schools and in daily life. 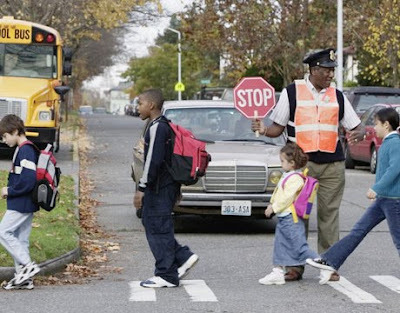 Simple, but far-reaching, because if we can reverse the trends on walking to school (currently less than one in five children walks to school even occasionally), that one change may create a ripple effect in a number of other issues, from childhood obesity to neighborhood safety. Safe Routes to School provides help to parent organizations and communities and advocates for public policy and funding to support its mission. The Alliance for Biking and Walking is a coalition of local and state groups working on creating better and safer streets for pedestrians and cyclists. Rails-to-Trails Conservancy has been an important force behind the growth in walking and biking trails across the United State. 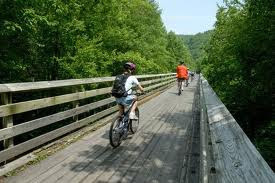 When the nonprofit organization was founded in 1986, the country had fewer than 200 known rail-trails. In 2011, there were more than 1,600 such trails, covering more than 20,000 miles. The group’s mission is to create a nationwide network of trails from former rail lines and connecting corridors, thereby helping build healthier places for healthier people. Parks Build Community is a project of the National Parks and Recreation Association. The project reconstructs dilapidated facilities and builds new ones in parks around the country, working with cities and public and private agencies as well as community organizations. Even though less than two cents of every transportation dollar pays for walking, biking, or trail programs like these, federal funding for such programs was completely removed from the version of the federal transportation funding bill that passed the House on January 31. The Senate is scheduled to vote on its version of the transportation funding bill on Tuesday, February 21. Read this explanation of the House and Senate transportation bills by the Safe Routes to School folks, a February 13 call to action by Lenore Skenazy on Free-Range Kids, and pleas from AMC and Rails-to-Trails Conservancy to contact your elected officials in favor of two amendments that would restore funding to the Recreational Trails Program and to community-based walking and biking programs. AMC has used the Recreational Trails Program to fund work by a teen trail crew on the Appalachian Trail in the Berkshires and trail maintenance on the heavily used Lonesome Lake trail. These trails extend the roaming room of our children beyond their day-to-day communities. Add them to a regular network of walking and biking paths and safe routes around town, and we have great outdoors kids. Photos courtesy of Safe Routes to School, Rails-to-Trails Conservancy, and NYC Taught Me.